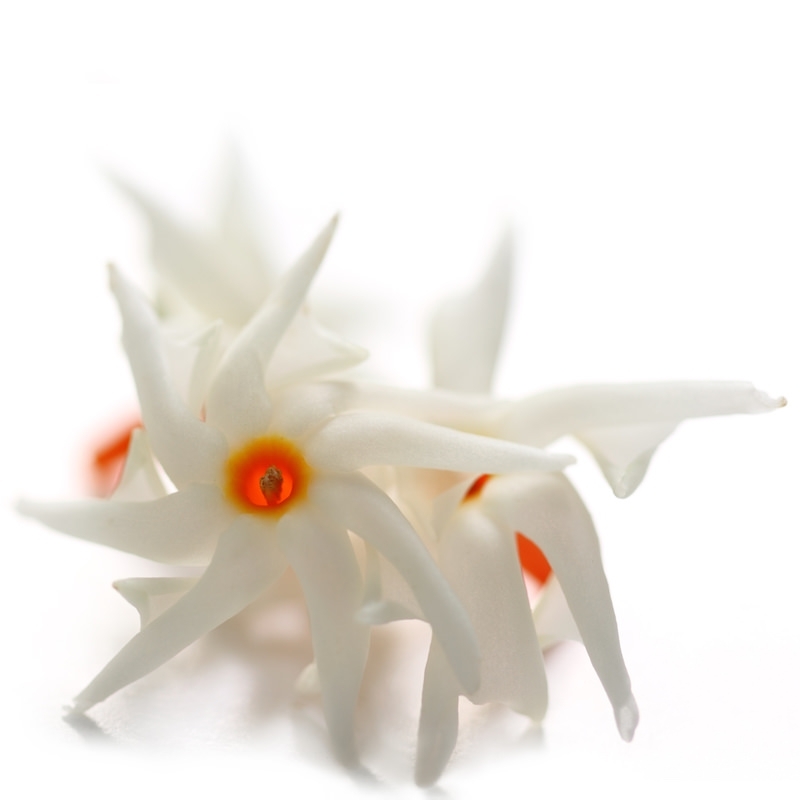 Our organically crafted Parijat Hydrosol, also called Harsingar Flower Hydrosol, is distilled from the orange-red centred, white, fragrant flowers of Nyctanthes arbor-tristis native to South Asia and South-East Asia. Ayurveda mentions the use of Parijat flowers to help with pain, irritation and swelling associated with health conditions like arthritis, stress, muscle tension, rheumatism and sore muscles. Also called Night-flowering Jasmine and Coral Jasmine, Nyctanthes arbor-tristis flowers are very strong anti-arthritic, anti-inflammatory as well as a powerful analgesic which helps to reduce Kapha dosha from the body and remove excess fluids that cause inflammation and pain. Emotionally and energetically, Parijat Hydrosol is known to promote emotional balance and a sense of well-being. It may also help support decision-making and is very beneficial for helping ease hormonal imbalances from menopause, postpartum, PMS, and more. Parijat (Harsingar) Hydrosol also has powerful antioxidant properties that can be used to effectively get rid of harmful effects of free radicals in our body, thus reversing the effects of aging. This hydrosol is perfect for spraying directly on the skin to help soothe and heal all sorts of skin ailments.